Plan, organize and execute your next civil trial flawlessly. 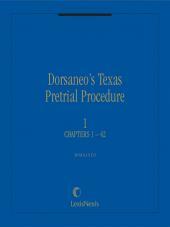 Never lose a civil case in Texas on evidentiary or procedural grounds. • Procedural guidance concerning trial settings, continuances, special exceptions and pleadings, amendments, oral depositions, recusal motions, consolidation and severance, jury selction, motions for judgment, and closing argument. Benefit from step-by-step guidance and a variety of practice-friendly features. 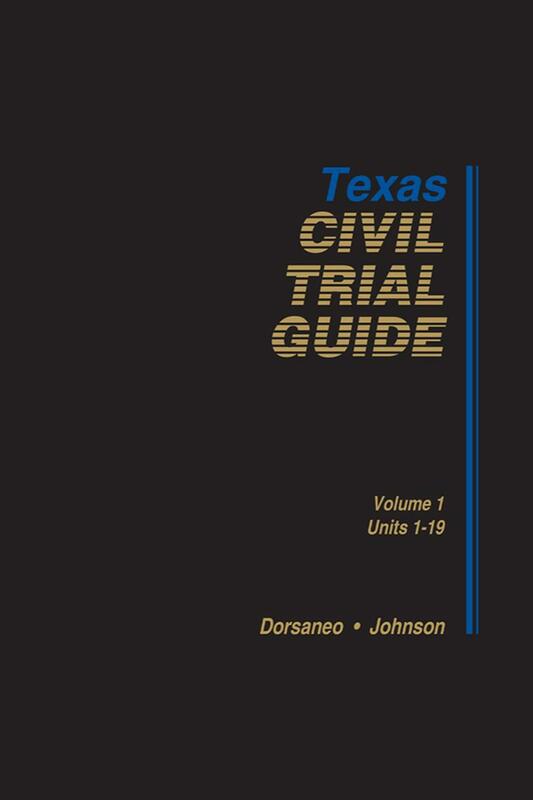 This indispensable practice tool provides substantive and procedural guidance to all the evidentiary issues you could encounter throughout the trial process in Texas. 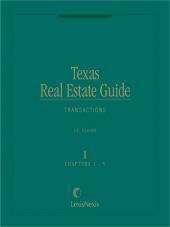 Includes five easy-to-update office books and a trial book. Simply copy relevant material from office books and place behind tabs in trial book for use in court. 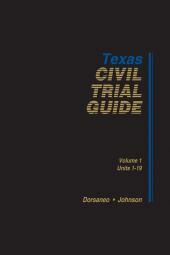 Whether you're a new or experienced trial attorney, you'll also save time with helpful practice aids such as: how to object and how to respond to an objection on all grounds- relevancy, competency, "best evidence," and hearsay; scripts on what to say in court; direct quotes of relevant statutes and rules; master checklists of motions; and much more. 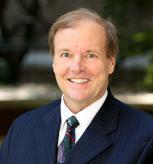 William V. Dorsaneo III is Chief Justice John and Lena Hickman Distinguished Faculty Fellow and Professor of Law at Southern Methodist University, Dedman School of Law in Dallas. 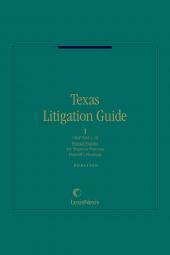 He is Board certified in civil appellate law and is an active member of the Advisory Committee to the Texas Supreme Court, the Committee on Court Rules of the State Bar of Texas, a member of the American Law Institute, and chair of the Texas Supreme Court's Task Force for Revision of the Texas Rules of Civil Procedure.